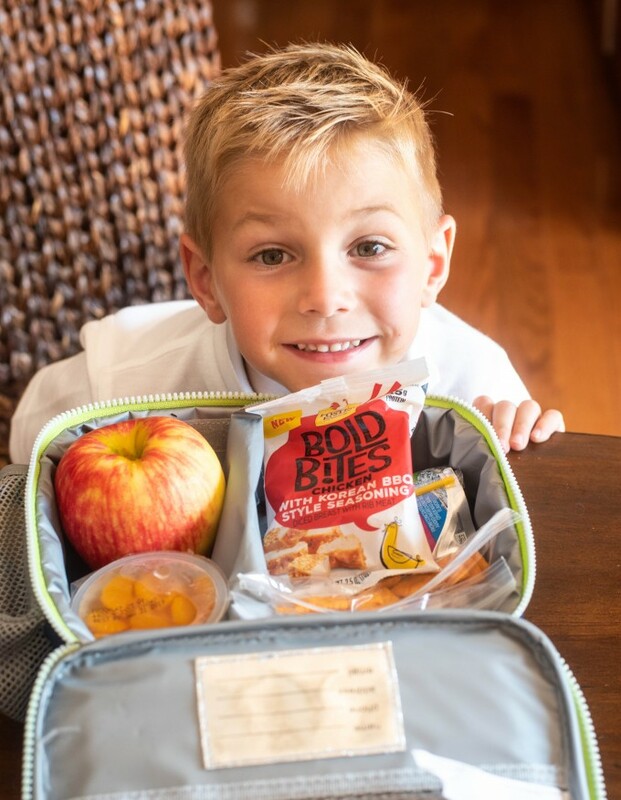 Easy School Lunches with Bold Bites! 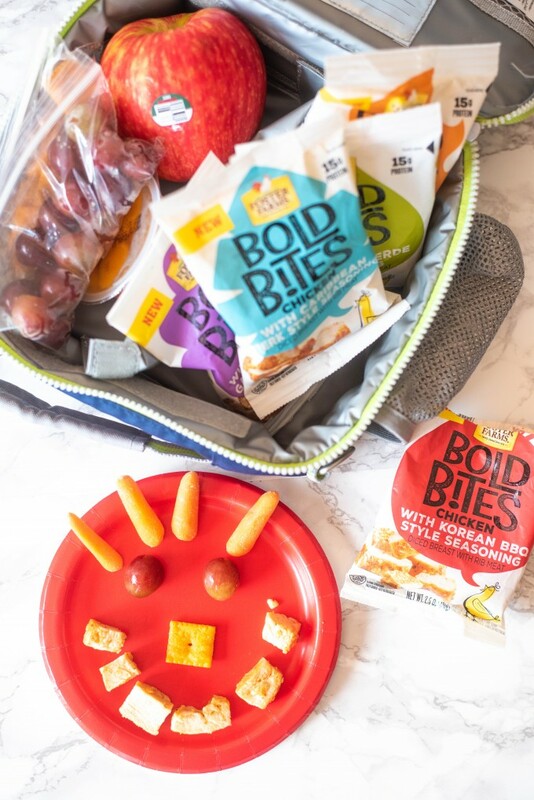 Packing lunches got you down? Me too! 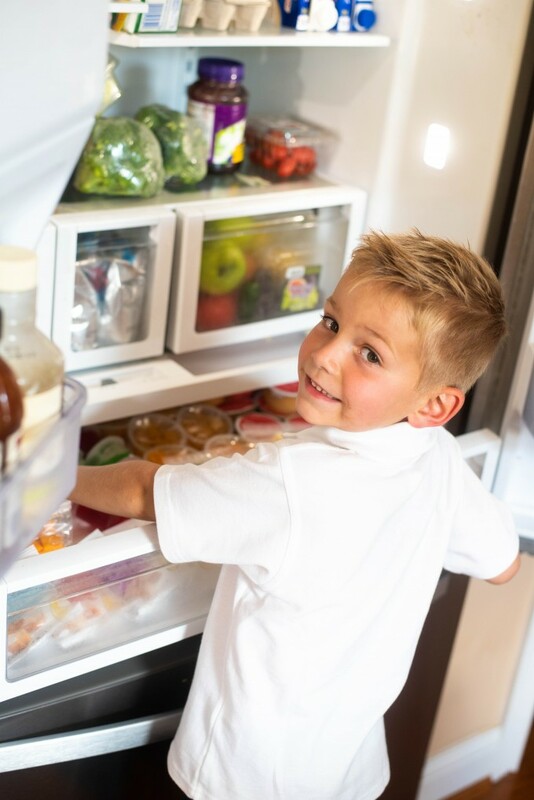 Set your kids up for lunchtime success by setting up the refrigerator so they can pack their OWN lunch! I’m on my second week of school, and I’ve already learned one thing- I am a terribly unmotivated lunch packer. Looking at me from the outside, I probably look like one of those moms who cuts food into cute animals, or creates elaborate bento boxes for their kids. Newsflash: I’m evidently the opposite of that. I’m one week in and I’m already tired of packing lunches. In fact, I used to joke with Michael’s sitter about the fact that 75% of the time, he gets a pre-packaged deli meat, cheese and cracker combo in his bag. She finally called me out on it one day- “You spend all this time making this insane looking food, and I find it so surprising that you don’t send it for lunch!” A fair point, I suppose. But she’s right, I do make tons of food, the fridge is always full. So, why? I think its safe to say that I just cant do lunches. So we’ve established I can’t pull together a mid day meal. Here’s another established fact about me: I’m big on personal responsibility. Jonathan loves peanut butter and jelly sandwiches, and this summer I mandated that he was learning to make them on his own, with minimal supervision from me, for both he AND his brother. He even cleaned up afterwards! Not only did it take something off my plate while occupying Jonathan’s time and energy, I loved seeing the pride and sense of personal responsibility that it gave him. It may sound small, but these small things add up! I started thinking about this as I was hurriedly throwing together his lunch on the third (yes, third) day of school. I had a brilliant thought – Jonathan knows what he likes, and he likes to do things for himself, why am I the one doing this? He could easily do this himself. Thus began my great fridge experiment. I cleared out the whole long bottom drawer that Jonathan can easily see into and stuffed it full of things that I know he likes – bags of raw veggies, baggies of grapes, crackers, applesauce, cheese sticks, juice boxes, etc. I told him that he could pick 4 things out of it for his lunch every day. He was, as you can see, very excited with my flash of genius. 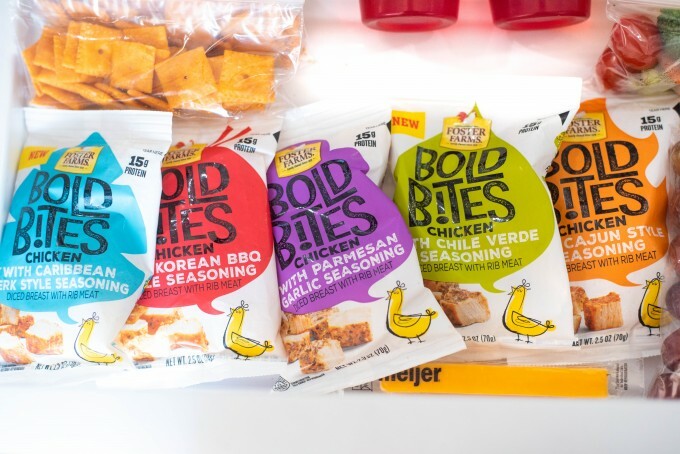 One of the things that really inspired this idea was a new product that I’ve found and have fallen in love with- Foster Farms Bold Bites Chicken. These are seasoned bites of juicy chicken breast, perfect for an easy meal as-is! They have great flavors- Caribbean Jerk, Cajun (my favorite), Parmesan Garlic (Jonathan’s favorite), and Korean BBQ (Michael’s favorite!). As you can see, my experiment was a complete success- Jonathan was thrilled with his newfound freedom, responsibility and independence, I was thrilled that my inner mental battle with packed lunches is over, AND both kids know where they can get a quick, healthy lunch or snack whenever they want! A real win!! So give it a try, hopefully you will find as much success with this as I did! 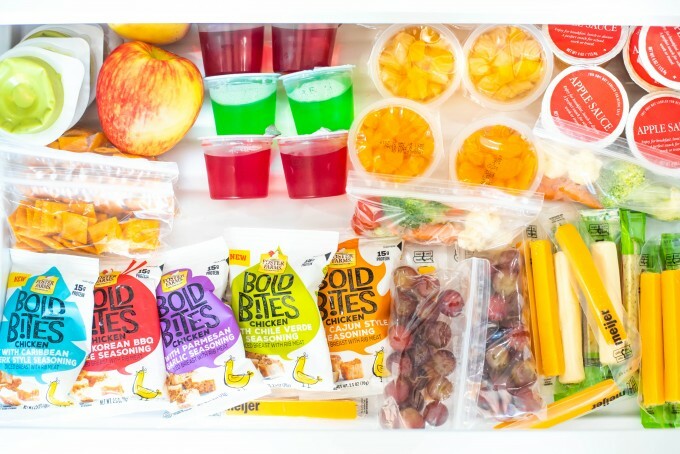 Check out Bold Bites from Foster Farms, too- and their Foster Farms Honey Crunchy Corn Dogs and Foster Farms Chicken Breast Nuggets as well!